“Together We Fly: "Voices from the DC-3″ -- is the story of an aircraft like none other — a true legend, the icon of an industry, and one of the most recognized aircraft in history, according to company officials. Today, crowds still gather to watch a DC-3 land, technicians revel in the sound of her rumbling radial engines, cargo haulers appreciate her ability to stretch to meet impossible demands, and pilots still dream of flying the greatest airplane ever built. Author Julie Boatman Filucci recounts fascinating stories, introducing the reader to the people that helped make the DC-3 seem larger than life and greater than the sum of its parts. From the DC-3’s early development, through its many historic roles, and into the present, Voices is a human journey of visionaries, engineers, pilots, mechanics, hostesses, and passengers alike. 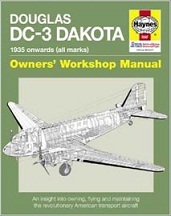 Douglas DC-3 Dakota Manual: An Insight into Owning, Flying and Maintaining the Revolutionary American Transport Aircraft (Owners Workshop Manual) - Author - Paul Blackah & Louise Blackah - There is also a few pages that this web site contributed in the writing of this book. 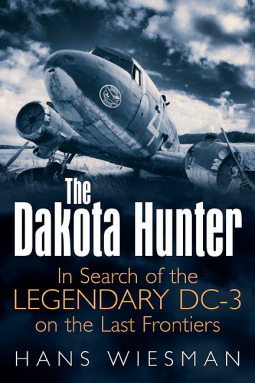 Trev Morson says: "An amazing story told by the DC-3 itself, this is a 'must read' for all DC-3 fans! 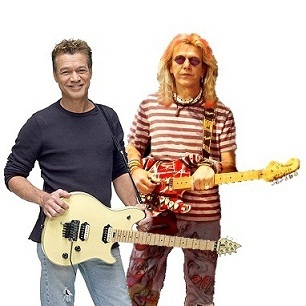 - Click HERE to see the documentary trailer video! 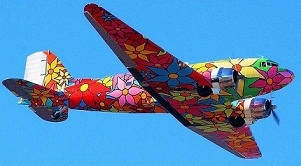 A beautiful DC-3 that once belonged to the "Prairie Aviation Museum" in Bloomington, Illinois. It's a "good news" - "bad news" story. The World's First Certified DC-3 Simulator! 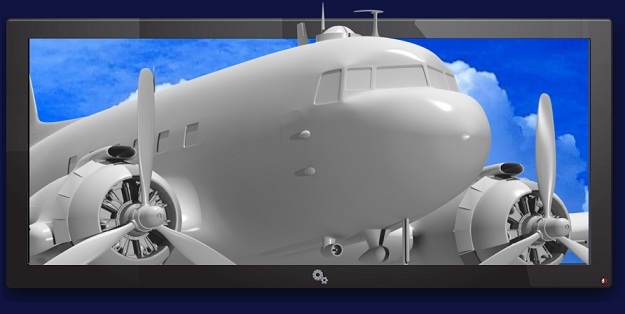 The MPS DC-3 simulator has recently been certified as an FNPT-II (equivalent to FAA level 5) by the Dutch CAA. In addition, MPS was granted operator status. 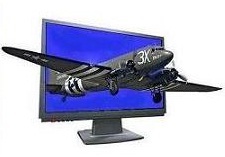 It is now possible for DC-3 pilots to strengthen their knowledge and skills by flying the DC-3 simulator. Amongst others it is a great opportunity to cover starts, landings, engine failures directly after rotation, propeller feathering, IFR procedures and cockpit re-familiarization. DC-3 Photo's #7 DC-3 Photo's #8 NASB report, DC-3 PH-DDA"
A DC-3 Scrapyard Lambair DC-3 Flight from Kabul Lambair DC-3 in the Ice? DC-3 Throttle Quadrant Refurb DC-3, UFO's, Bermuda Triangle The DC-2½ ? 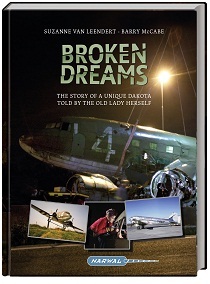 DC-3 Stories by Randy Sohn The DC-3 in New Zealand Story of a DC-3 House!? R4D-5, 1st South Pole Landing The DC-3 in Germany Mystery DC-3 in Canada? 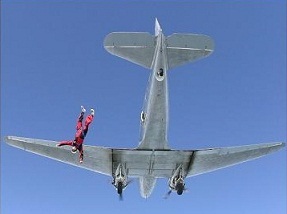 Qantas & the DC-3 Clark Gable's DC-3 Belgium C-47 Crash Mystery? DC-3/C-47 World Listing The DC-3 in France A DC-3 Space Shuttle? 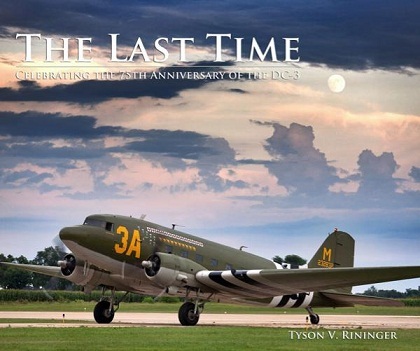 Dan Gryder is the last guy in the US offering left seat time and ratings in the DC-3. 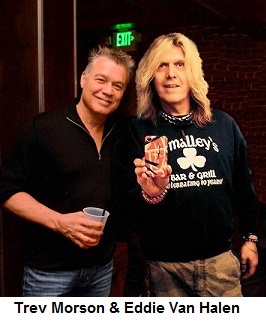 2018 marks the start of Dan Gryder's 18th year in business. Don't miss this rare opportunity! 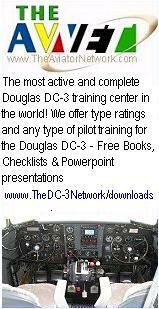 The DC-3 course - is the DC-3 INITIAL for Second in Command Right now, you can do both courses (combined). This may be the only time in aviation history that private pilots are invited to fly a real airliner from the left seat - and get a real rating that goes right on your pilots license! Training positions are limited for 2018 - get your name on the list now! You can have this historical type rating on YOUR certificate, you will always treasure the memory and the story of how you got it! 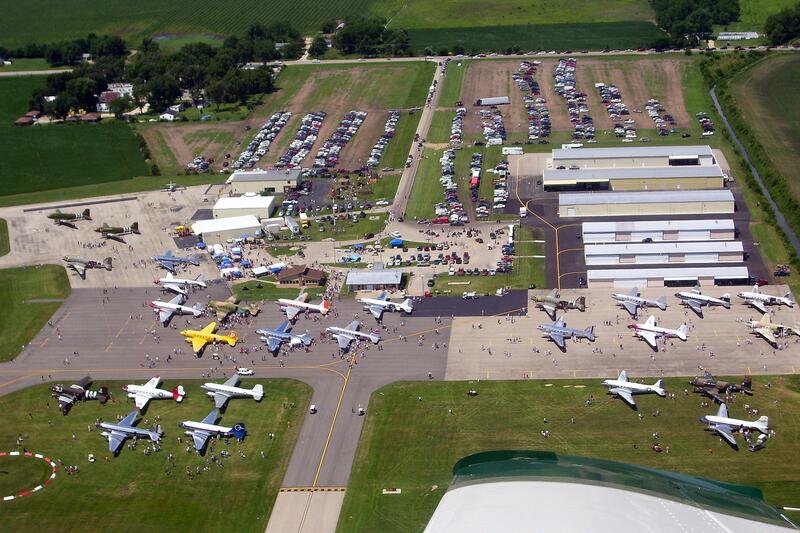 75th Anniversary fact - Did you know that a total of '57' DC-3's were at EAA Oshkosh 2010? 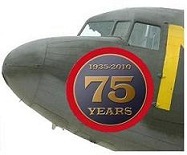 The 75th Anniversary of the Douglas DC-3 CLICK HERE - TO SEE OVER "100" PHOTOGRAPHS OF THE EVENT !!! Aerial photograph #1 - (Thanks to Jim for a ride in his 'Mooney' - "N45RH"). - I shot this picture from 300 feet above, Sunday, July 25th, 2010 celebrating the Douglas DC-3 "75th Anniversary" reunion. 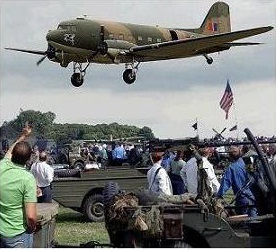 The event occurred at Whiteside County Airport, (KSQI), Illinois. This is a 'world record!! 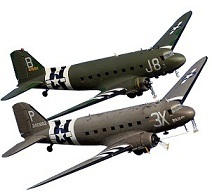 - 26 x DC-3's (and 1 x DC-2). DOWNLOAD THE FULL SIZE AERIAL PHOTOGRAPH HERE - If you wish to use this photograph, share it, publish it, you are welcome to do so, as long as 'Trev Morson', "The DC-3 Hangar" at www.douglasdc3.com is credited please. 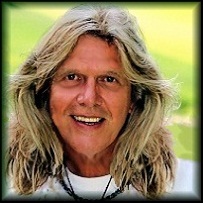 Axel Ebermann - Is a documentary filmmaker and he spent the last four years travelling the worldwith the Dutch Dakota aficionado Hans Wiesman (pictured above). 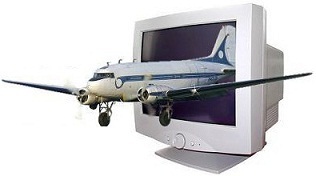 Hans, scours the world for derelict DC-3 parts that he donates to museums or turns into DC-3 designer furniture. Axel says, "And what a journey it was: Hans talked Malagasy air force commanders into selling him their ‘Dakota’ scrap yards,argued with Thai officials why they should remove wingtips for him before they sink the planes to build artificial reefsand lit up with joy when he found the rare forgotten storage room full of Dakota parts in the jungle of Colombia". 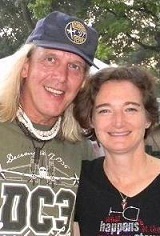 The result of these adventures is the feature documentary ‘The Dakota Hunter’. Trev Morson says: "I have watched the documentary myself and not only is this an amazing story of a man with a huge DC-3 appetite, it is simply a stunning documentary and every DC-3 enthusiast should watch it. 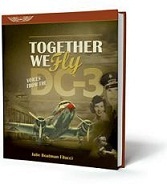 Trev Morson says: "My friend Hans has done it again, every DC-3 enthusiast should read this book! 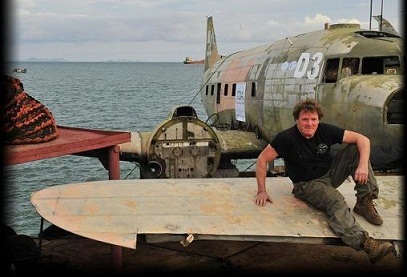 -- He really is the "Indiana Jones" of the DC-3! 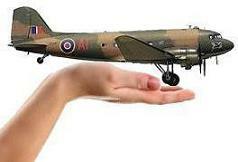 Enjoy These Eight 75th Anniversary - DC-3 videos - July 26th, 2010 - click each box for video below.. Above - Laser Aero Colombia -HK-4700X involved in a ground accident when it ran into a hole during taxi resulting in structural damage to the right wing. There were no reports about any injuries. 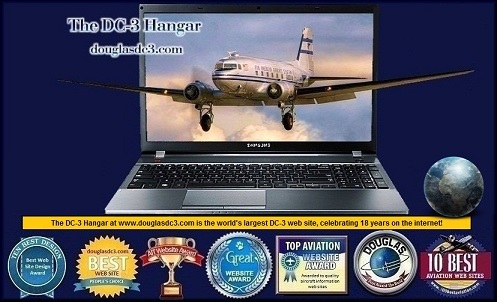 "The DC-3 Hangar" at www.douglasdc3.com is Copyright © Trevor Morson 1997-2019. All rights reserved.